This Deep Cherry Red Crystal Pearl Beauty is Ready for You!!!!! 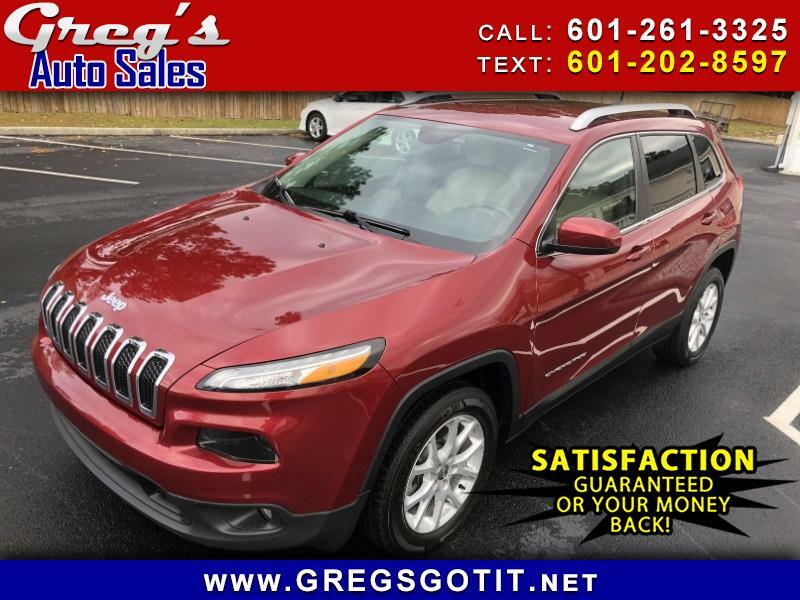 We just received this one owner off commercial lease 2017 Jeep Cherokee Latitude that has a clean Carfax and an excellent maintenance record!!! This Deep Cherry Red Crystal Pearl sporty ride equipped with tan leather seats is ready to roll with a power driver's seat, back-up camera, rear parking aid, Bluetooth, USB port, SD card slot, voice activated telephone, touchscreen infotainment system, fog lamps, luggage rack, XM satellite radio, leather wrapped steering wheel, and alloy wheels. Call us today at (601)261-3325 for more information or come by 2772 Oak Grove Road, Hattiesburg for a test drive!! This vehicle comes with our 5 Day Money Back Guarantee. No Questions Asked. Come see why the folks of South MS and beyond have chosen to do business with Greg's Auto Sales for over 33 years!! !